Epcot Spaceship Earth is one of the most recognizable sites in all of Disney World Resorts. It is home to a ride for all ages that uses animatronics to explore the history of communication, starting with man’s first words through the present day. 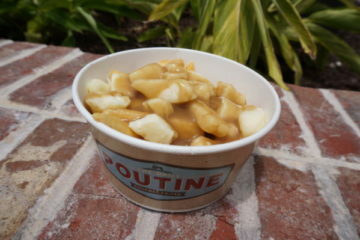 This has been a Disney staple since it first opened in 1982. While the attraction has undergone many changes since then, it remains a Disney icon. Many guests to Walt Disney World Resort may say something like, “I’ll meet you at the golf ball”. 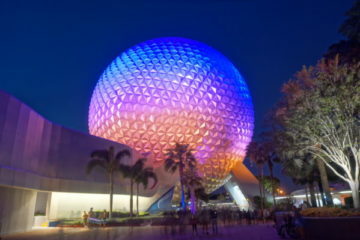 The geodesic sphere that houses Spaceship Earth may resemble a golf ball, but much more work and planning went into building this impressive architectural feat. Designed with the help of Ray Bradbury, a famed science fiction writer, the sphere includes more than 11,000 triangles, one joined to the next to create the sphere. Similar looking structures had been created before, but those were not true spheres. Instead, those structures had a flat bottom. 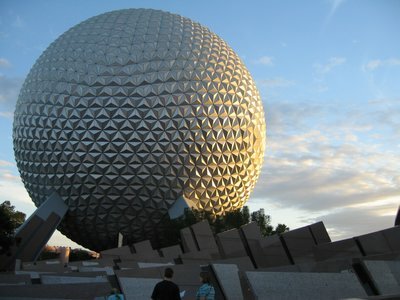 Epcot Spaceship Earth, on the other hand, is a true sphere and it rests on posts placed beneath. It took over two years and more than 40,000 man hours to complete the structure. One of the many impressive features of the sphere is the way that rainwater is recycled. Rather than just allowing rainwater to hit the sphere and then collect on the ground below, engineers devised a way to collect the rainwater. Essentially, the rainwater is collected through gaps in the structure where it is funneled to a gutter system. From there, the water flows to the World Showcase Lagoon. Pretty ingenious, hu? The Spaceship Earth ride is appropriate for all ages. As guests are seated in “time machines”, also called Omnimover vehicles, they will be transported through various ride scenes that work together to tell the story of the history of communication. Animatronics and fabulously detailed settings will make you feel as though you are witnessing, first hand, some of the most important portions of history in the making as your travel slowly throughout the years. You will see man as he begins to learn to communicate verbally, see hieroglyphics as discovered in ancient Egypt, and behold the wonders of early engineering that were Roman roads. Another ride scene depicts the beginning of the Industrial revolution. Others feature the changes made in the way humans communicate including the advent of the printing press, newspaper, movies, computers, and more. The Spaceship Earth building is breathtaking day and night. This is a truly fascinating way to look at the history of man throughout the years. While you are enjoying the ride, you will be able to make some decisions about how you might like to spend your time in the future. Each Omnimover is equipped with an interactive touch screen. You make choices and at the end of the experience, you will be able to take a look at what your life may be like in the future. Wouldn’t it be great to have a private lounge to enjoy while in Disney World? That is exactly what the employees and clients of the current sponsor of Spaceship Earth have in the VIP lounge. When Siemens AG took over as the sponsor of this attraction, they named the VIP lounge “Base 21”. 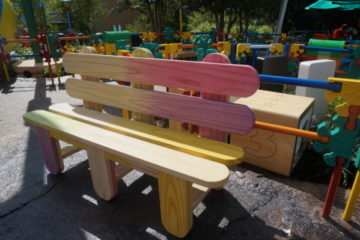 Here, special guests can relax in a quiet, private space while enjoying a beautiful view of the park. Former sponsors, including Bell Systems and, later, AT&T, also enjoyed the use of this VIP lounge space. 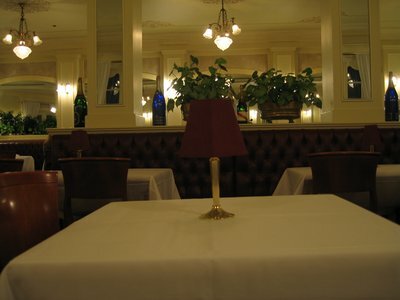 During a period when the attraction had no sponsor, Disney found a way to make good use of the space by renting it out for private parties and weddings. The busiest time of the day for Epcot Spaceship Earth is during the time when the park first opens. People enter the park, see this as the first big ride, and instinctively get in line. You can be smarter about it. 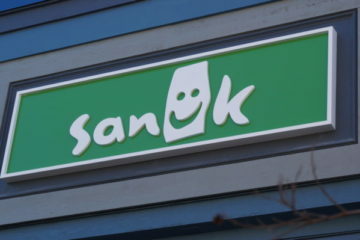 To avoid the biggest crowds, opt to visit this attraction a little bit later in the day. You might be surprised to find that, at the end of the day, there is little or no wait. Before your visit and after you leave Disney World, you will be able to enjoy online fun through the Spaceship Earth Web site. Here, you can play games, explore fun science demonstrations and learn about the science behind some of the most popular rides at Disney World theme parks. You can even use the easy online tools to create your own comic, music, flip book and much more. Project Tomorrow is also housed at the exit of the geodesic sphere. 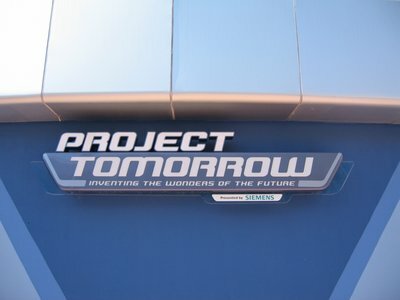 Once you explore the history of communication via the Spaceship Earth attraction, you can visit Project Tomorrow and explore the future of various fields of science, including medicine and transportation. Interactive games, interesting exhibits, and displays provide information and is fun for the kids and interesting to the adults. Spaceship Earth is located in Future World in Epcot theme park. 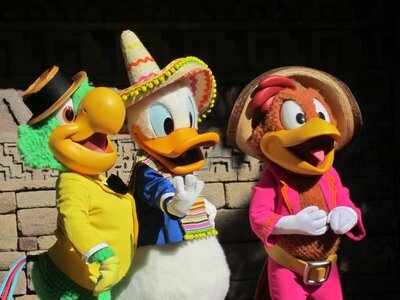 Here are some other nearly attractions that you should visit while in Future World. Project Tomorrow provides interactive exhibits. Innoventions is a fun space that takes up two separate buildings. Here, guests can learn about fire safety, feel what it is like to be at the center of a storm, design your own theme park ride – and then actually ride it, and learn about safety in the home by smashing and trashing a variety of household items. Most importantly, every guest will have the chance to learn how to do their part to recycle everyday items and how such recycling can have a positive impact on the world. Guests will also learn about how the choices that human beings make impact the environment and how the consequences of those decisions can impact future generations. During this tour, you will get a behind-the-scenes look at parts of Epcot that are not open to the general public. Learn how Walt Disney’s dream of building an Experimental Prototype Community of Tomorrow instead became Epcot Center. This fun and informative tour takes about four hours to complete. Guests must be at least 16 years old to participate. Epcot theme park is full of fun, interesting and educational attractions. Be sure to set aside a day or two to explore some of them and enjoy all of the family fun of Epcot Spaceship Earth.